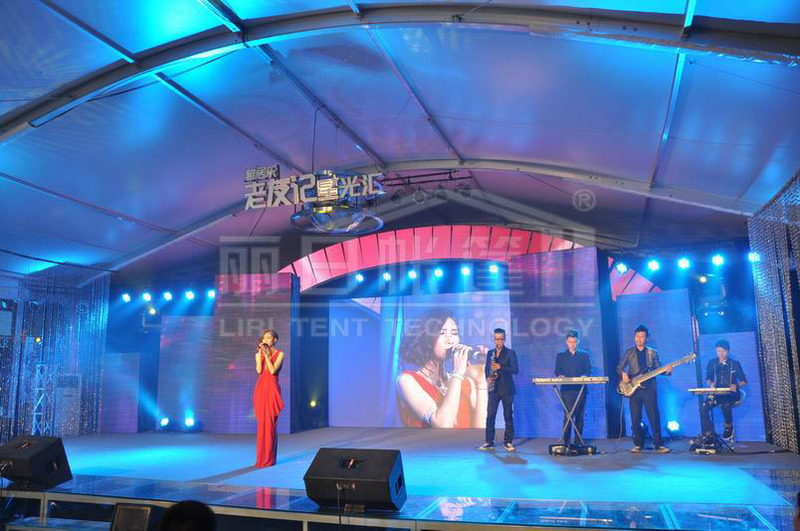 The tent can be widely used as the tennis court, outdoor sports events, swimming pool tent, big outdoor event, celebration marquee, festival marquee and so on. The marquee which the photo shows us the 18m width, 4m eave height, 9.15 ridge height as the tennis court. 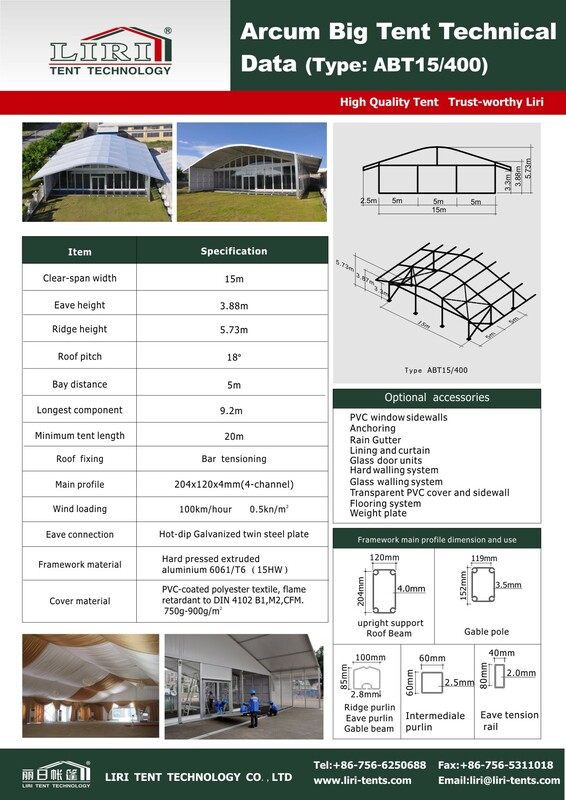 It is with 650g/square meter tranlucent PVC roof cover and 650g/square meter PVC sidewall with church windows.